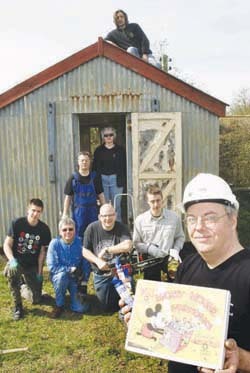 The UKPS has won a grant of £2500 from the Association for Industrial Archaeology (AIA) towards the rebuilding of the Wells sheds at Amberley. This is excellent news and a real boost for the project. The money must be used for rebuilding the old sheds, but it means that the £1500 we have already raised can go towards the creation of the new museum building. We will be visiting Amberley shortly to draw up final plans to submit for planning permission. ps – this does not mean we can stop fund-raising!